We’ll never doubt your greatness again, DC. We saw Van tweet it last night — “Dameyune Craig is the all-time single-game passing leader in pro football history. Jersey is Hall of Fame.” — and just thought he was being awesome and funny. But no, it’s true. 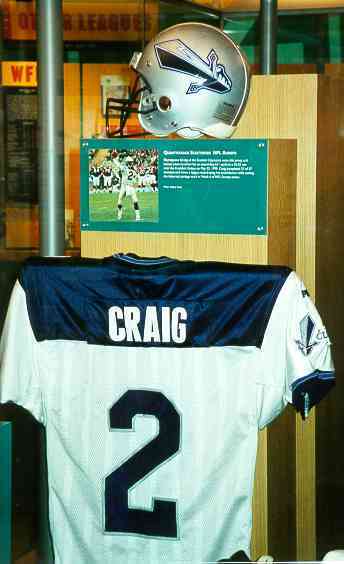 And, yep, his jersey hangs in the Pro Football Hall of Fame to prove it. Related: Dameyne Craig, No. 2 for the Carolina Panthers. That’d be Frankfurt, in Hesse and not the Capital of Kentucky.